As we mentioned above, an annual percentage rate (APR) expresses your loan’s interest as a yearly rate and also incorporates the lender’s fees (i.e., any fees required to finance the loan). The borrower can use this single value to compare the loans of various lenders, as all lenders are required to disclose their APR under the Truth in Lending Act. To learn more about APRs, check out this previous blog post. How will an APR affect my installment loan? In fact, the APR of your installment loan doesn’t technically affect it. It simply relays the cost of your installment loan in a different way, allowing borrowers to more accurately assess the expenses involved. 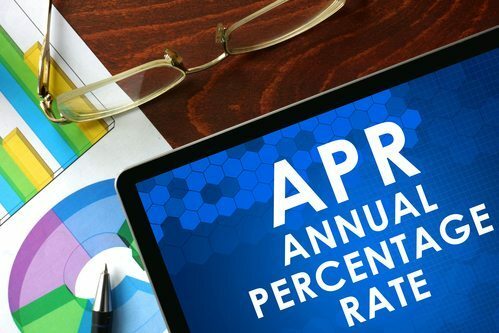 In evaluating the APR, you can better understand the loan’s interest rate and fees. Can I make my loan more affordable? If you want to lower the cost of your installment loan, take your time and research potential lenders carefully. Compare the annual percentage rates of your contenders, shopping around for the lowest APR available. In addition, once you secure a loan, make timely payments and pay off the loan as early as possible to limit related fees and interest charges. So before you apply for a loan, be sure to check out its annual percentage rate (APR). Not only will it help you assess your yearly interest charges, but it also takes additional fees into account. Look for a lender with an affordable installment loan APR and check out their payment schedules, flexibility, terms and conditions, and customer service. Education and careful decision-making are the best ways to save money and reduce stress throughout the borrowing process. Our flexible payment schedules will help you pay off your loan as soon as possible, and we prorate the fees involved so that if you pay off the loan early, you will have very few fees to pay. To get started, please contact us online or give us a call at 1-815-436-4242. We would be happy to help!